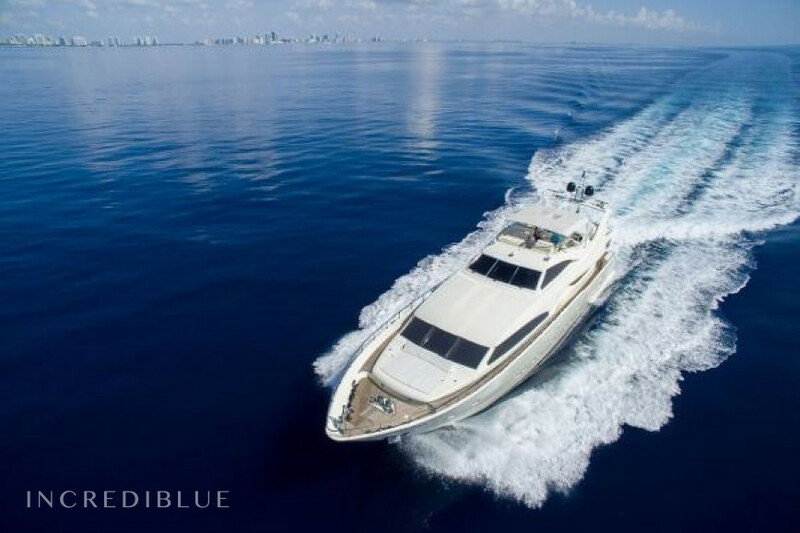 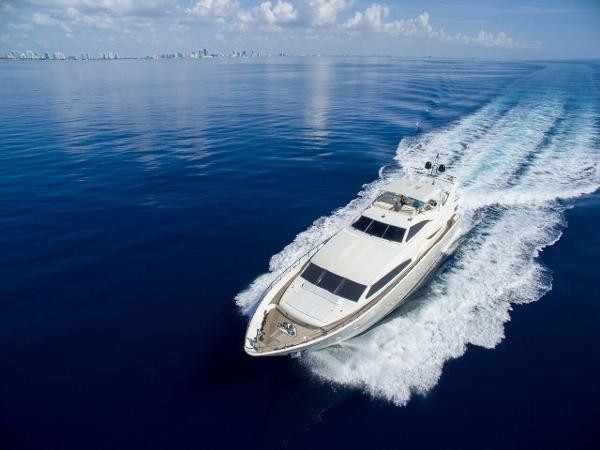 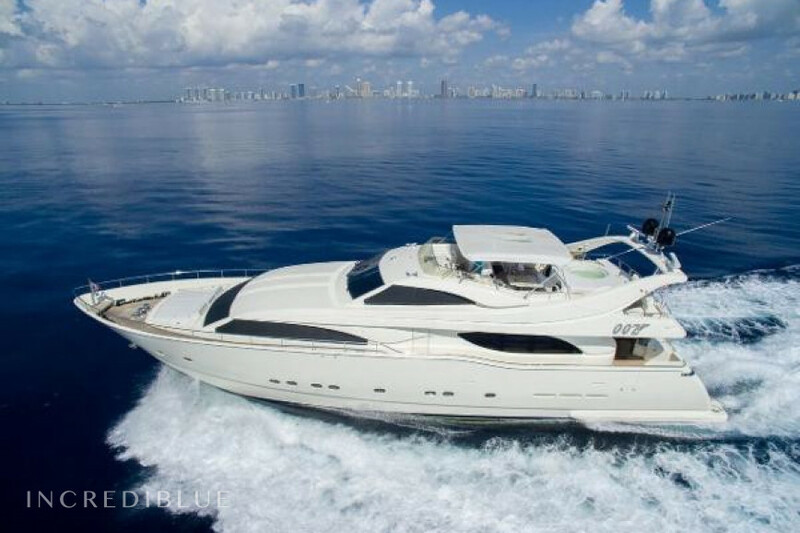 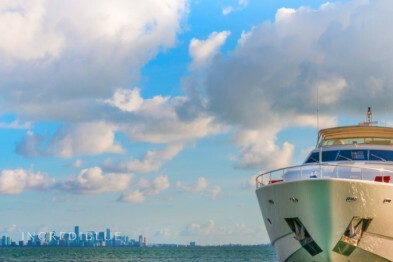 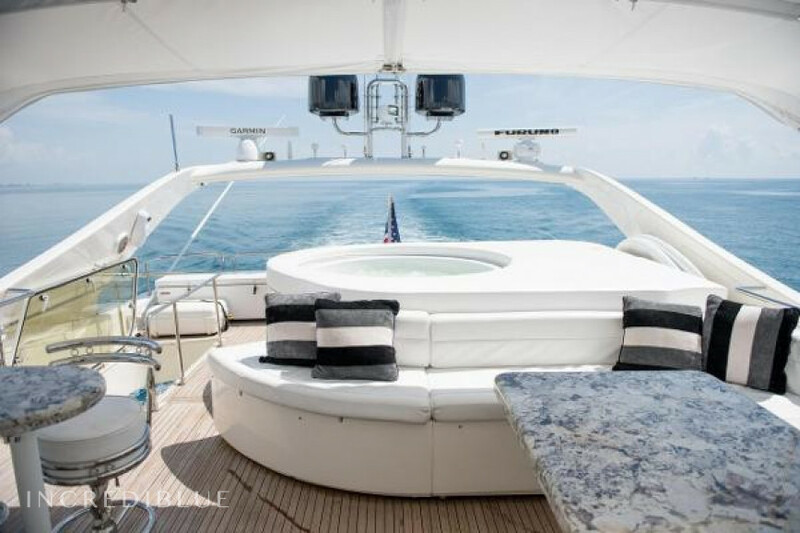 Cruise in style on this classic 94 foot yacht. 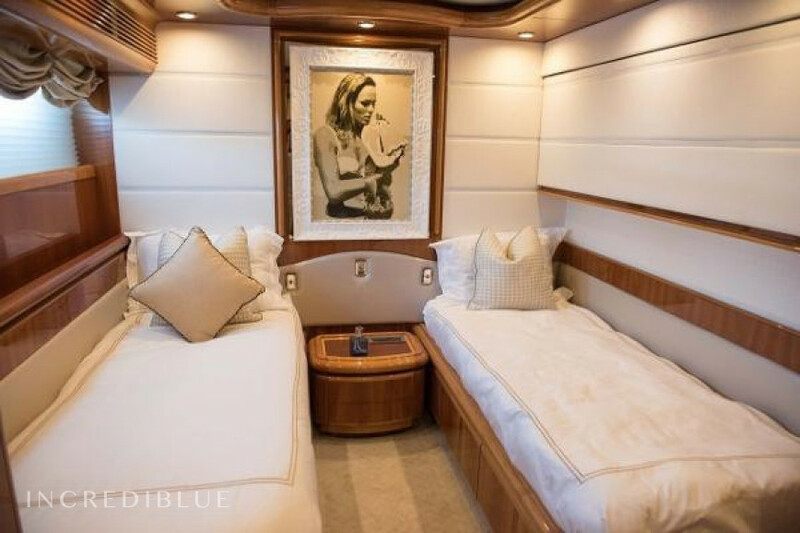 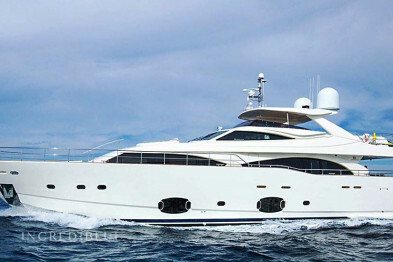 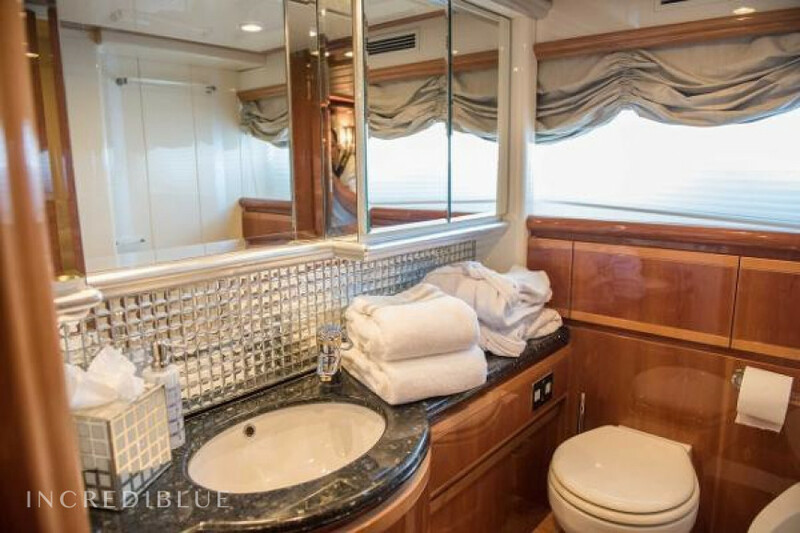 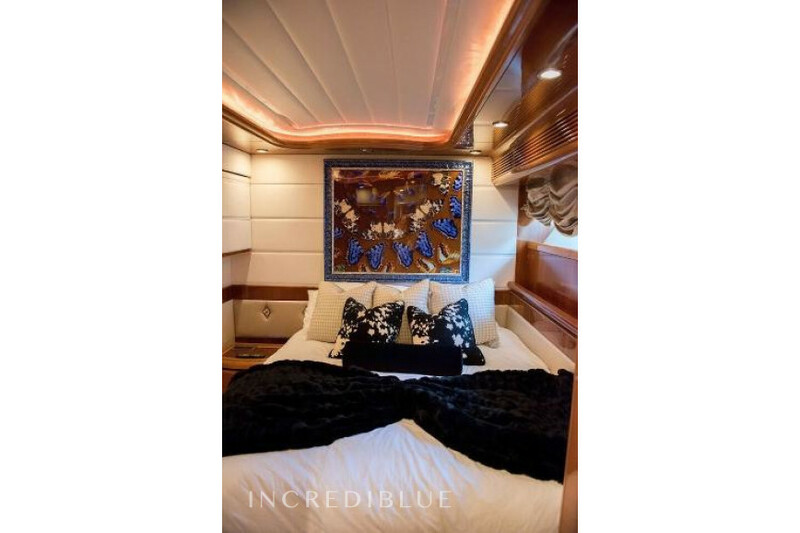 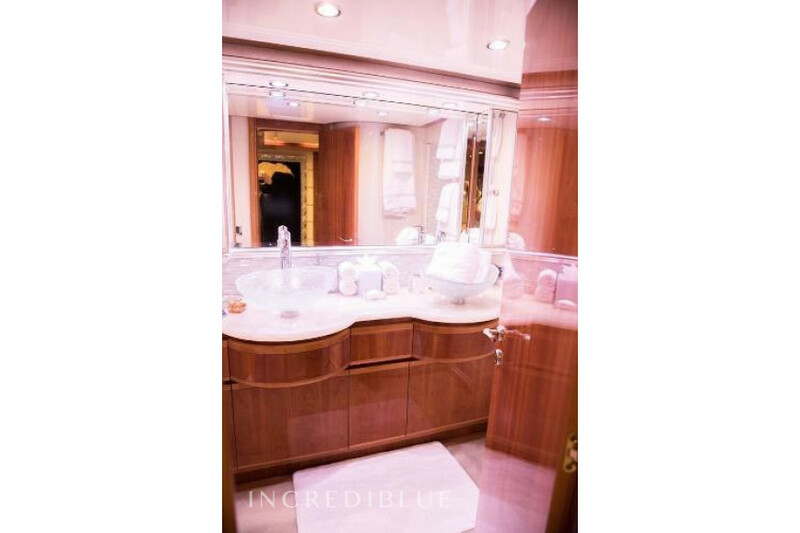 She boasts four staterooms with master cabin at lower deck, with jacuzzi in master cabin! 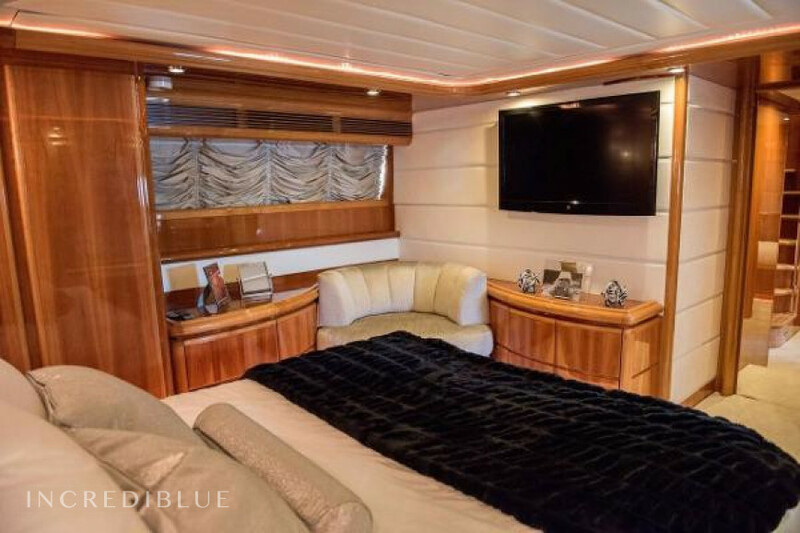 All interior is built in high gloss cherry wood with Alcantara ceilings and light fabrics and leather, creating an aura of class and sophistication. 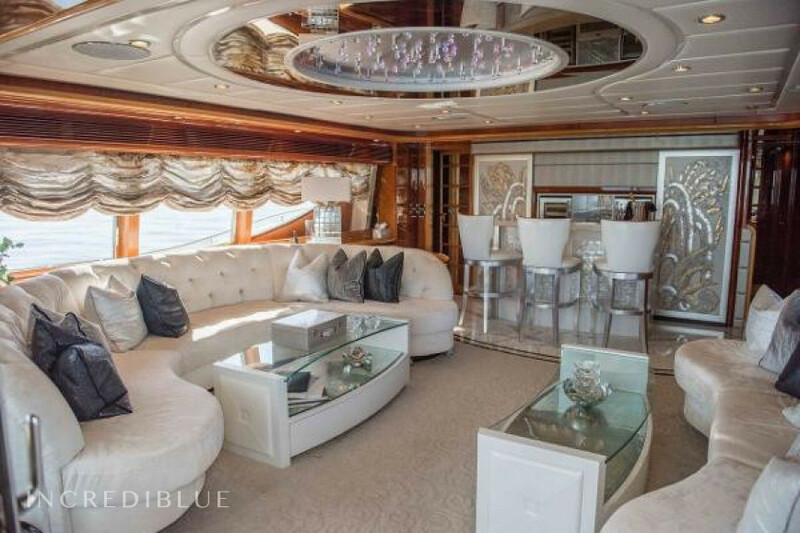 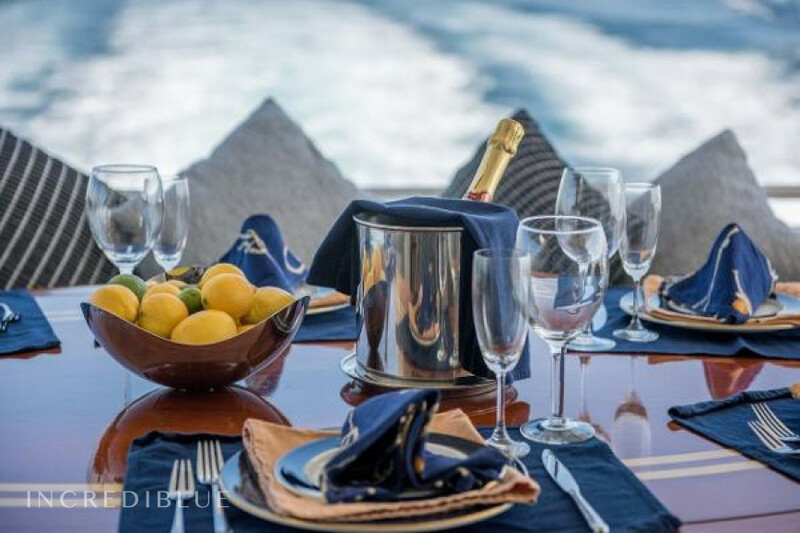 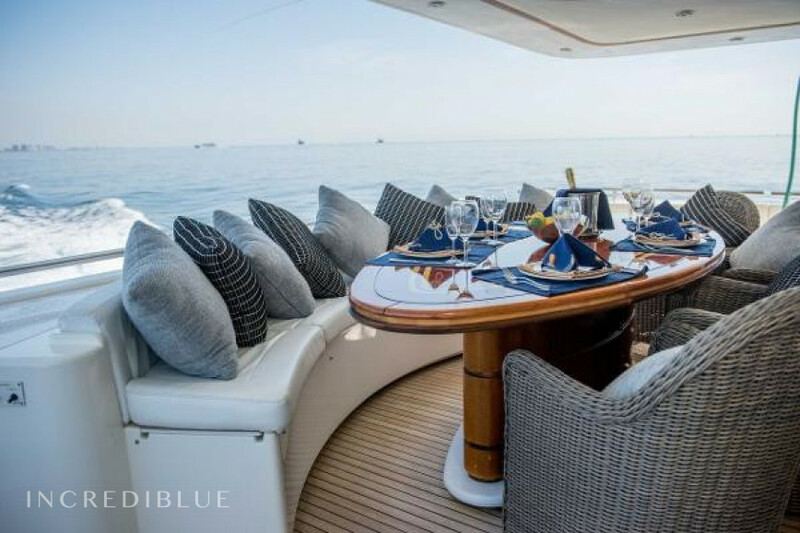 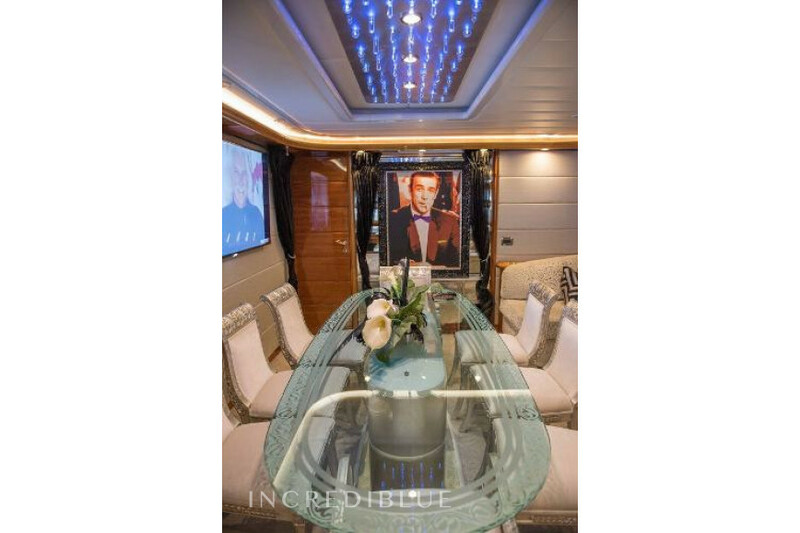 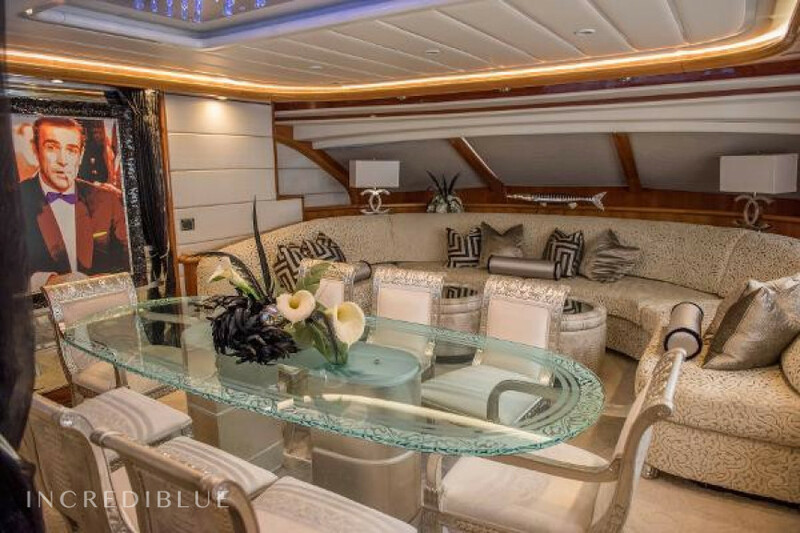 Separate formal dining area and observation lounge are found on the main deck. 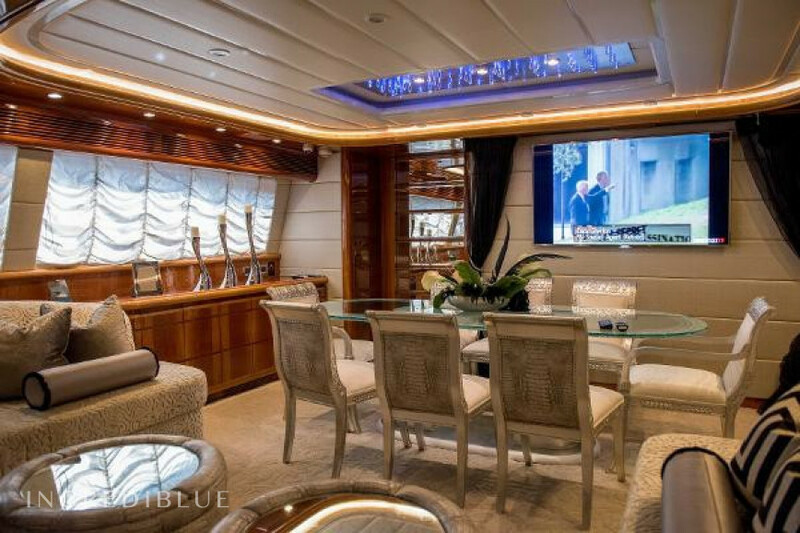 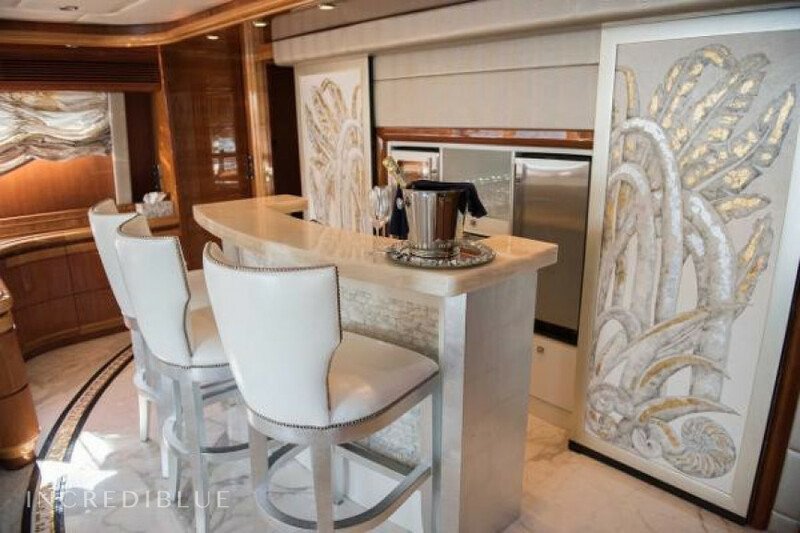 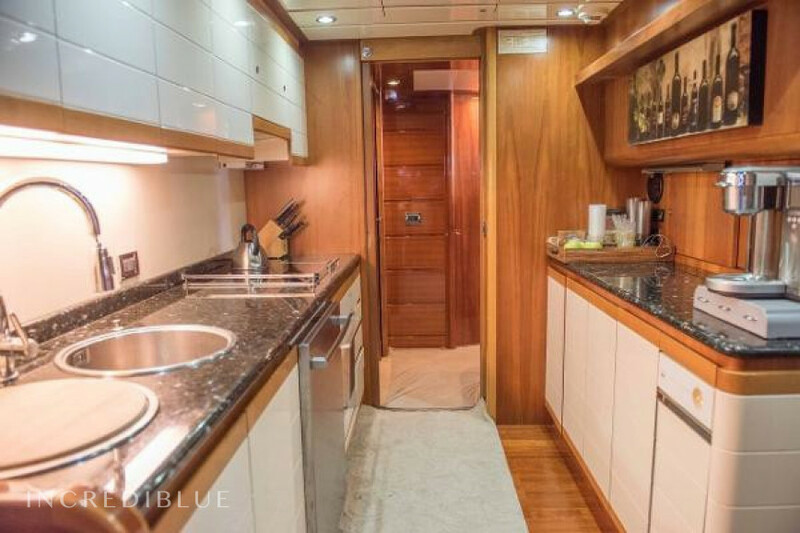 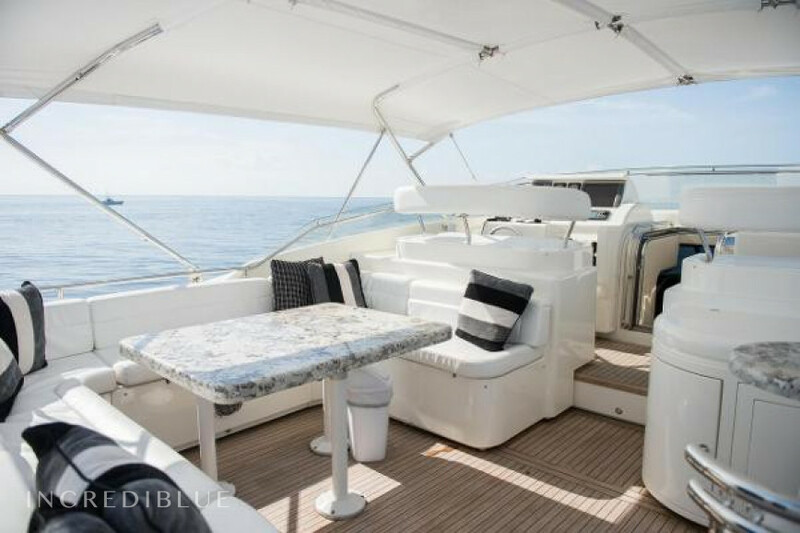 The galley is midships between dining and salon. 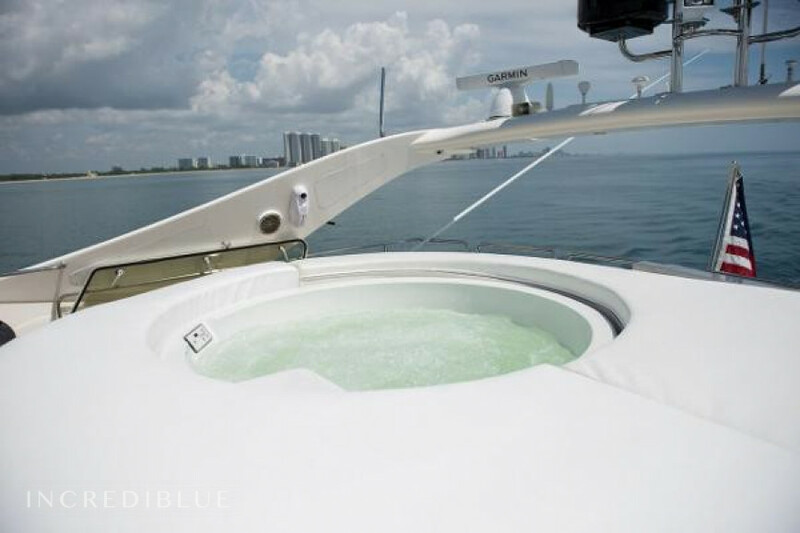 The large fly bridge includes several seating areas and a jacuzzi. 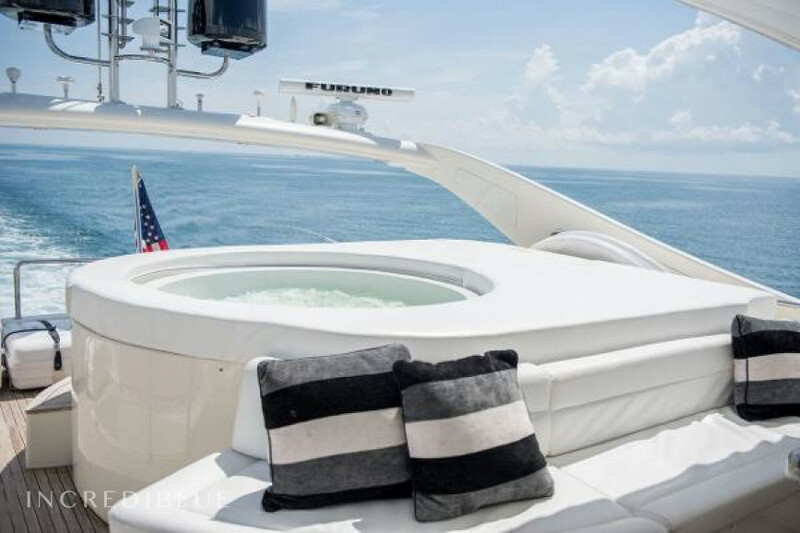 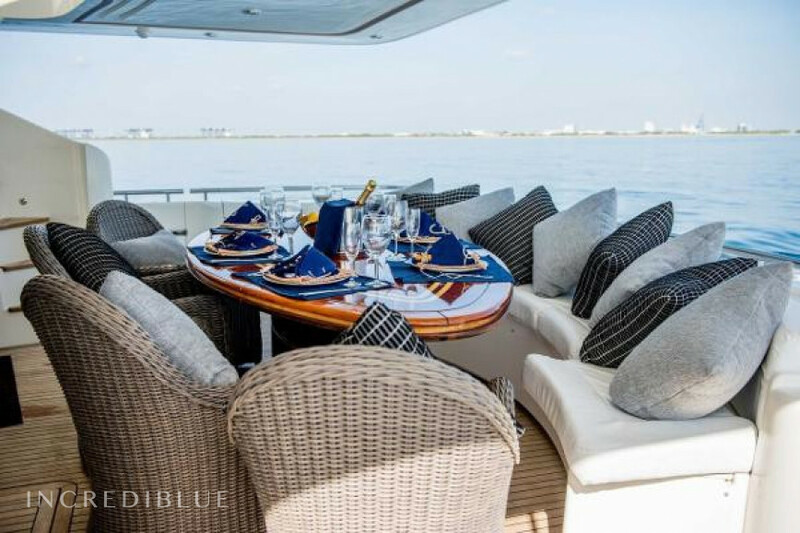 Perfect for relaxing with a cold drink as you cruise the Florida waterways! 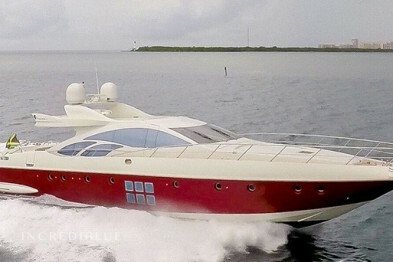 Half day prices are based on 3 hours.